Put all ingredients in shaker field with ice and shake until ice cold. Double strain and enjoy! 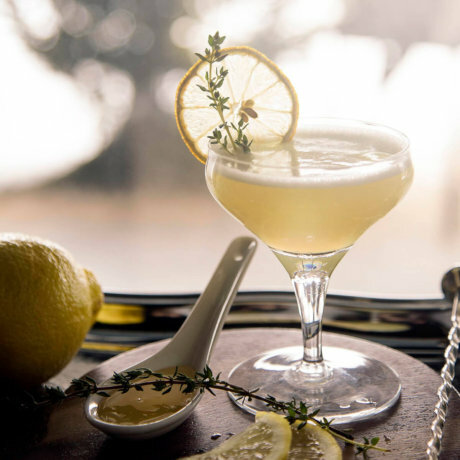 You can garnish the drink with the candied lemon wheel and thyme sprig.